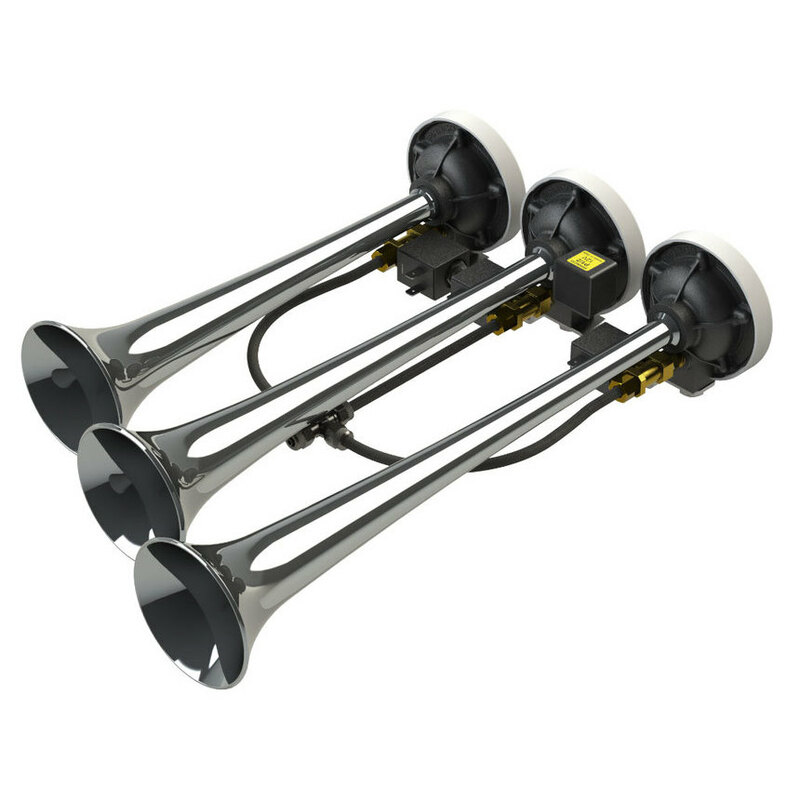 Compressed air horn with three sound in two sequences. Complete with electric valves and electronic alternating device. 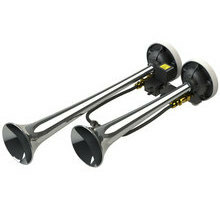 Metal chromed trumpets. Installation in engine compartment.